I am pleased to present the strategic plan for the Texas A&M University College of Engineering. This document reflects the goals and principles that will guide our organization through the year 2025. The plan is the result of engagement with our stakeholders that began with an analysis of our strengths, weaknesses, opportunities, and threats. Key focus areas were identified and several town hall meetings were held to establish goals and strategies. I appreciate the contributions of many stakeholders who helped create this dynamic document. The dynamism of this document will be strengthened through the sustained interaction with our students, faculty, staff, former students and industry partners. The College of Engineering is at the mid-point of a critical period of growth and improvement with the launch of the 25 by 25 transformational education and enrollment growth initiative in 2013. Through 25 by 25 and initiatives guided by the college’s last strategic plan, the college has elevated its academic programs, provided access to engineering education for more qualified students, enhanced and expanded its teaching and research facilities, recruited prestigious academic scholars and professors of practice, and been recognized nationally for its research expertise. Moving forward, the main challenge is to prepare engineers, researchers and engineering educators to succeed in a diverse, globalized economy with a knowledge base that is growing exponentially. While it is a daunting task to educate engineers to succeed throughout their professional lives (that may span over four decades), it is incumbent upon us to educate our students to be lifelong learners; pursue research opportunities to positively impact our quality of life and the economies of the state of Texas and nation at large; and engage in service and outreach activities to share our knowledge base and shape the national agenda. Our overarching goal is to be ranked as the number one engineering program among public institutions in the United States. The strategic plan presented here is a road map to achieve the College of Engineering goals by 2025. To define and lead transformative innovation in engineering education, research and service. To educate students who are well-grounded in engineering fundamentals for them to succeed in a multi-disciplinary global environment, to be lifelong learners and to conduct research and transform the results into knowledge base, products, and services to benefit society. We actively develop each member of the engineering program and leverage our resources for the betterment of the state, nation and world. 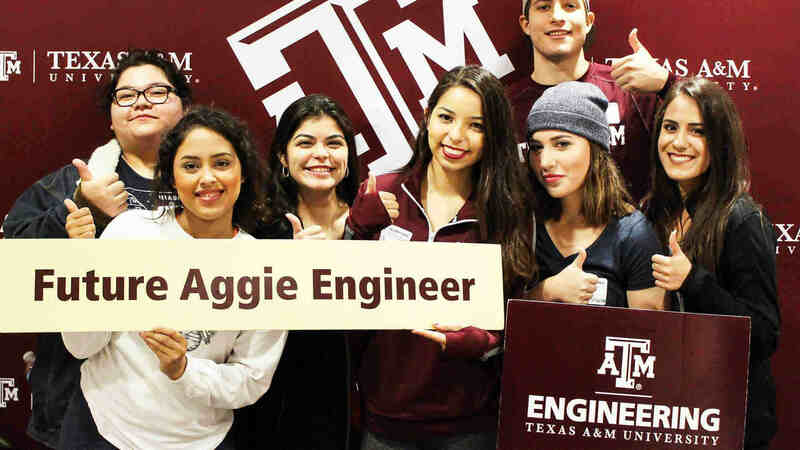 Providing the highest quality undergraduate education is a cornerstone of the mission of Texas A&M University and the College of Engineering. It is a priority to provide engineering undergraduates with an education that is well grounded in engineering fundamentals and advanced knowledge to prepare students to meet the complex technical challenges of society for today and tomorrow. Map the delivery of engineering education to the current learning modalities of the students. Provide students with state-of-the art facilities for engineering education. Expand opportunities for students to engage in ENGR[x](e.g., leadership, global experience, volunteerism, innovation and entrepreneurship, etc.) to match their passion. Deliver a comprehensive honors program with intellectual challenges that inspire students to expand their horizons. Providing high-impact, cost effective engineering education that prepares students to be engineering leaders for the 21st century. Expand opportunities for global experiences. Develop and adapt innovative pedagogies and institutional technologies to maximize educational impact on students. Enhance resources (facilities, faculty and staff) to meet the growing demand for an engineering education. Goal #3: Cultivate and graduate a high-achieving undergraduate student population that will succeed in a diverse global professional environment. Provide an inclusive environment, inside and outside of the classroom, that values diversity of thought and experiences. Expand outreach and recruiting programs to diverse populations to increase interest and broad participation in an engineering education. Enhance programs and opportunities, starting with the first year in the college and sophomore year in the disciplines, which foster student communities of common interest and experiences. Increase access to resources (e.g., peer mentors, study groups, living learning communities, etc.) that foster student success. Integrate classes to provide engineering examples and hands-on-experiences to motivate the learning of concepts. Employ programs and student organizations to enhance student integration into the College of Engineering and foster life-long learning and a strong sense of belonging to engineering. Education, mentoring, and development of graduate students is crucial to the success of the research and education missions of the College of Engineering. In order to recruit, retain, and graduate students who will make a “difference,” it is imperative that the College of Engineering offers an environment that is rich with preeminent faculty, state-of-the-art curriculum, and state-of-the-art research facilities. The ability to recruit top graduate students is key to advancing research productivity and reputation. Make early offers to PhD students to improve chances of acceptance. Increase availability of internal fellowships to fund the first year of study for PhD students. Assist current and prospective PhD students in preparing competitive applications for federal fellowships. Engage industries to determine unmet workforce needs to align the graduate curriculum. Enhance adaptability to changes in graduate student recruitment channels (e.g., institutions, regions, countries that have provided strong pipelines are likely to change over time). Continue efforts to build relationships/pipelines with institutions known to graduate talented undergraduates but lack strong graduate programs. Goal #2: Recruit, foster, and graduate a graduate student population that will succeed in a diverse global professional environment. Provide an environment (in the classroom and lab, as well as outside of the classroom and lab) that embraces diversity of thought and experiences. Expand opportunities for creating communities among graduate students. Enhance the outreach and recruiting programs to include diverse undergraduate student populations to increase interest and broaden participation in our graduate programs. Provide the financial support necessary for students to excel in research. Expand efforts for internship experiences with leading industry and national laboratory partners. Foster an academic culture to promote innovation and entrepreneurship. Increase opportunities for students to practice the skills needed for thriving research careers. Expand professional development programs to increase awareness about different career paths. Increase assistance and guidance for pursuing careers in academia and industry. Faculty are the intellectual capital of a university. It is a high priority for the College of Engineering that faculty of the highest reputation are recruited, retained and developed. Reputed faculty attract highly qualified and motivated students and research opportunities to the university. Periodically identify strategic areas for investment to recruit, retain and develop faculty. Recruit highly qualified PhD graduates from top schools and our undergraduate students after they graduate from leading graduate schools. Hire senior faculty in strategic areas and hire faculty clusters around them to build globally competitive research teams. Raise endowments to retain high-performing faculty and take advantage of system-wide and statewide opportunities such as the Chancellor’s Research Initiative and Governor’s University Research Initiative. Establish effective mentoring programs to retain faculty. Expand the partner placement program through enhanced bridge funding and tap into the local ecosystem to enhance the success rate in recruiting. Establish a leadership program to develop faculty leaders. Establish large-scale teaching and research facilities to recruit and retain faculty. Incentivize faculty to participate in the Intergovernmental Personnel Act (IPA) programs to serve as program managers at federal funding agencies. Increase the number of IPAs to 5-10 percent of our faculty. Expect and incentivize faculty to publish in high impact research venues, including digital media. Promote faculty success stories in prominent public mediums and through social media. Proactively nominate faculty to national level awards, society fellowships and academy memberships. Establish a mechanism for identifying, nominating and facilitating the nomination of faculty for prominent external awards. Encourage and facilitate faculty appointments at federal funding and policymaking agencies and position faculty to deliver testimonies before state and federal legislative bodies. Develop think tanks that generate position papers on new technologies. Goal #3: Build a community of a diverse group of faculty that will inspire, educate, and mentor future graduates so that they may succeed in a diverse global professional environment. Proactive targeted recruitment of underrepresented minority and women faculty. Aggressively pursue partner placement efforts to attract faculty to Texas A&M University. Foster a strong mentorship program and promote cluster-hiring practices to retain faculty. Establish an environment that is welcoming of all faculty to develop and succeed. Staff development includes the activities and programs that help to ensure staff members continually enhance the skills and competencies necessary to accomplish institutional and divisional goals and purposes. Staff development has at its core a mechanism to enable individuals the opportunity to grow personally and professionally and develop competencies and personal qualities that will provide the potential for better performance and satisfaction on the job. Goal #1: Promote an organizational environment that values development, diversity and growth opportunities for all employees. Elevate the importance of staff development opportunities to department heads. Provide career paths inclusive of development plans to include benchmarks. Goal #2: Foster development opportunities that enhance knowledge, develop skills and enrich the organization. Create and foster a mentoring program by functional group. Leverage technology to provide specialized training and a wide spectrum of courses. Utilize development plan and/or performance evaluation to define the relationship of assigned tasks with organizational goals and assign associated development opportunities. Goal #3: Provide individuals and the organization with the resources to respond efficiently and effectively to current and future demands for service. Provide centrally funded earmarks for development and incentives. Develop curriculum for certification programs and/or role specific trainings. Utilize various methods to advertise development opportunities. Establish unique learning opportunities and avenues suitable to staff workload and environment. Goal #4: Impart ongoing leadership and support to the organization’s succession efforts. Develop leadership training/executive leadership program that is unique to the College of Engineering. Raising funds from private sources, including foundations, is a high priority for the college. Typical sources include former students who wish to give back as a legacy gift to their alma mater; former students and friends of engineering who wish to make a donation to support their passion; and private foundations and corporations who disburse funds to promote a specific program or cause. Typically, funds are received as endowment gifts, pass through gifts and estate gifts. Train faculty and staff leadership in development and stewardship of current scholarships. Connect scholarship recipients with donors. Recognize scholarship donors at department and college functions and in traditional and social media. Launch a $20 million campaign to raise funds to recruit, retain and graduate first generation students (FGEn). Launch a $50 million campaign to recruit and retain domestic graduate students. Strategically approach a donor base that is supportive of graduate studies. To recruit and retain outstanding faculty, it is necessary to offer a named title along with discretionary funds. The level of discretionary funds varies with the faculty rank. Typically, funds to support faculty is in the form of endowments. Hold periodic development events in the metropolitan areas and engage donors at sports events. Connect faculty who hold endowments with donors. Communicate the benefit of donating faculty endowments to corporate donors. Highlight success stories in traditional and social media. Communicate the benefits of naming opportunities to donors. Advise corporate donors of benefits that include name recognition with prospective employees and users of their products. Launch student centric programs to recruit, educate, and graduate first generation (FGEn) and women students in engineering. The main goal for the college is to create research opportunities for faculty and students and promote the products of research to make a maximum impact upon society. The College of Engineering recognizes that the future of engineering research is multidisciplinary with multiple investigators and warranting establishment of large-scale user facilities. Improve success rates with research proposals through targeted submissions, mock reviews and forming winning teams. Retool faculty research portfolios and establish collaborations through engagement with national laboratories, federal funding agencies and national policymaking bodies. Establish a state of the art built environment for collaborative research to address multidisciplinary challenges. Provide financial and logistical support to faculty leading large-scale proposal efforts. Provide seed funding to spur research in multi-disciplinary emerging areas. 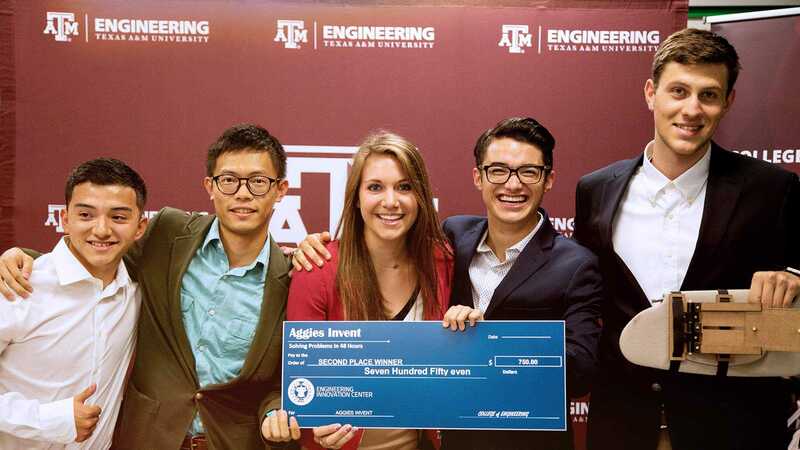 Enhance the exposure of Texas A&M Engineering research by providing travel support for graduate students to present their work at conferences and workshops and assist doctoral students to pursue academic careers. To enable faculty to set the national research agenda and to influence the future research directions for federal funding agencies. Continue to rely on an effective governmental representative to help connect faculty with research opportunities and ensure that the college “has the ear” of legislators at both state and national levels. Encourage placement of PhD graduates in governmental laboratories where they can be in a position to identify and shape directions for new research. Resource mid-career faculty to retool and pursue newer research areas. The College of Engineering recognizes that the establishment of large-scale research user facilities is required to promote multidisciplinary research. Promotion of the dissemination of research results in high quality venues is essential to maximize the impact. Establish state of the art core facilities in areas of strategic importance (e.g. materials characterization facility, soft-material research center, autonomy and smart manufacturing). Recognize faculty contributions and impact in multi-principal investigator research grants during tenure and promotion and annual review considerations. Assemble a list of high quality journals in each research area with an expectation that faculty would publish in those publications. The College of Engineering recognizes that the skill sets required to address future research problems that are highly multidisciplinary do not rest with one or two researchers, but will require a team of researchers. Promotion of multidisciplinary and multi-investigator research is a priority for the college. Organize networking events to promote collaborations and multidisciplinary research. Encourage and incentivize junior faculty to become involved in multidisciplinary collaborations from an early stage in their careers. Adapt tenure and promotion and annual review policies to recognize and reward multidisciplinary research. Provide technical and communication assistance to faculty who are leading large multidisciplinary research proposals. The College of Engineering recognizes that successful faculty, student, and staff entrepreneurs will maximize their research impact in a short time, create wealth and create jobs. The goal is to have at least 10 percent of faculty be successful entrepreneurs. Recognize and credit the impact of entrepreneurship and technology commercialization activities/products in the annual review and tenure and promotion considerations. Continue efforts to develop and foster an ecosystem for an entrepreneurship culture to succeed. Expand opportunities for PIs and graduate students to become involved in these activities. Research opportunities track the state of the technology, socioeconomic conditions in a society and status of the national security. These broad variables affect the research direction and opportunities. Faculty must be adaptable to pursue opportunities where they exist (federal funding agencies, industry, international sources, state agencies) and type of research opportunities (basic, applied, product development, technology commercialization). Continue efforts to establish and maintain a presence at national level forums that shape federal funding directions. Increase efforts to develop industry partnerships and funding sources. Engage at the highest levels of leadership between the College of Engineering and industry. Intellectual Property (IP) issues should be resolved to provide a welcoming environment for industries and alternative research delivery mechanisms such as consortia should be pursued. Assist faculty to reorient their research and communication skills to successfully engage with industry. Establish communication platforms to seek input from industry partners on their research needs. Increase engagement with our key constituents (industry partners, students, faculty/staff, donors, employers, workforce, state and federal organizations and the public) by building and implementing tools that serve the needs of our constituents. These tools will allow the college to develop key solutions to address the ideas and opportunities put forward by the constituency. Goal #1: Develop a media outreach strategy (social and traditional) to engage constituents in conversations about mutually beneficial needs and opportunities. Develop a data-driven system to provide analytics on all constituent groups. Increase the number of town hall meetings (physical and virtual) to enable our constituents to provide feedback on opportunities. Develop a methodology to collect data from our constituents for analysis. Goal #2: Drive interaction between our constituents and the college to assist in the refinement and development of new programming opportunities. Facilitate increased interaction between students and employers by creating additional internships, co-ops and research engagements. Increase the number of workforce development opportunities available in the state of Texas. Goal #3: Adapt our programs to facilitate the modification and improvement of our offerings to align with the changing needs of our constituents. Develop a systematic approach to assimilating constituent analysis and integrate into program planning and development. Increase agility by reducing the lead-time to program implementation. Measure success of implementations and cycle feedback data into the development loop. Goal #4: Expand our geographic reach to increase engagement and brand recognition of Texas A&M Engineering. Develop a comprehensive market analysis of program development, modification and delivery. Develop a long-range branding campaign to ensure increased recognition. Increase the number of courses and programs delivered through distance learning technologies. This strategic plan was developed over a period of one year through engagement with faculty and staff. Department heads conducted SWOT analysis (strengths, weakness, opportunity, and threat) in their respective units to identify focus areas and priorities. Inputs from department heads were integrated to determine focus areas that are a priority to the college. Over a dozen town hall meetings were conducted with faculty and staff to establish goals and strategies to achieve those goals. Participation of faculty and staff at large are acknowledged. Feedback was provided by the executive committee of the College of Engineering Advisory Council (EAC). Several individuals facilitated discussions at the town hall meetings and assisted with writing of this document. A list of facilitators in alphabetical order is listed below. Abinajm, N., Acker, A., Anand, N.K., Anderson, S., Autenrieth, R. A., Banks, M.K., Bowersox, R., Crawford, J., Enjeti, P., Girimaji, S., Green, P., Guiseppi-Elie, A., Hassan, Y., Hill, D.A., Hurtado, J., Jacobs, T., Karaman, I., Langari, R.L., Lawley, C., Lawley, M.A., Lagoudas, D., Martell, M., Mireles, H., Mitchell, M., Karim, N., Palsole, S., Pierson, E., Polycarpou, A., Reddy, A.L.N., Roberts, J., Searcy, S., Slaydon, D., Taylor, V., Weichold, M. W., Wright, T., Ugaz, V.